Come see this luxurious, 1 bedroom condo, located in the award winning Aqua building located just steps from some of Chicago&apos;s most iconic locations including Michigan Avenue, Millennium Park, and the theater district. Open Living/Dining Room with large balcony perfect for relaxing and grilling with stunning views of Lake Michigan, Millennium Park, Pritzker Pavilion & more! The gourmet kitchen has Snaidero 42&apos; gray Italian cabinets, quartz counter top, decorative glass back splash, stainless steel appliances, large island with custom made top & bamboo flooring. Master bedroom features large walk in closet with a custom-made entry door with bookshelves, storage, designer organized wardrobes, remote controlled power shades & comfortable cork flooring. In - unit laundry and readily available rental garage parking if needed. 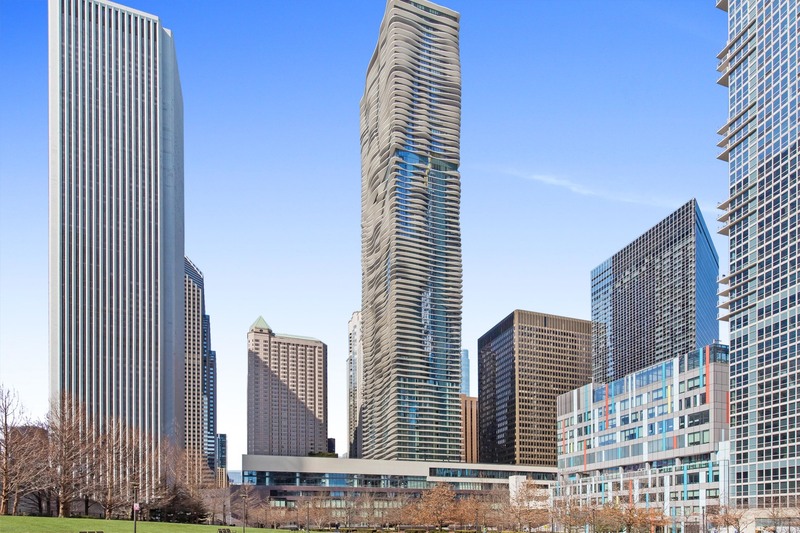 The Aqua overlooks Lakeshore East Park which features large open space, pathways, a children&apos;s playground, dog park and is surrounded by restaurants and stores.